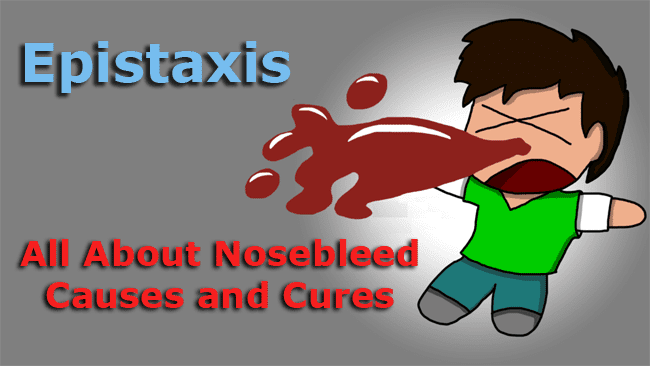 The coming out of large amount of blood from the nose is called nosebleed. It has something to do with the location of the nose and the numerous numbers of blood vessels in it. It can happen anytime depending on the condition of the nose. This is also common during hot weather and the reason for this will be explained in the lower portion of the article. The reason why nosebleed happens is the drying of the nasal membranes and picking the nose. Since there are so many blood vessels in the nose, once any of them is damaged, there is a tendency for a large amount of blood to come out, thus, nosebleed takes place. Picking the nose is another thing and this is the reason for laceration of the nasal membrane. This is due to the fact that this is situated in the most vulnerable position in the face. Staying at home is one of the best cures for nosebleed. This is because when someone who has a nosebleed stays at home, he will be dealt well. There are conservative measures that can be used for nosebleeds like putting of ice cubes on an ice bag and placing it in the forehead to make vasoconstriction in the vein and eventually stop the blood from coming out. If this measure is not effective, then, it is better to consult a physician for medical procedure. With this, a physician will use nasal packs. This will stop the nosebleed fast. Whatever product you may take, say medicine, it should be prescribed by the doctor. Do not take any blood thinning products and aspirin for it may cause perils in your health. During a heavy nosebleed, large amount of blood may come out that may cause you weakening so don’t hesitate consulting a physician.